The gaming industry is one that is continually evolving and changing. And yet, in many aspects and regards, much remains the same. Each year we see new developments, technology, and innovation that captures our imaginations. Industry Influencers and community trendsetters are leading the charge to shatter the old norms and usher in new ideas. Usually, change happens slowly over time, but in some years we can see noticeable shifts in the direction the industry steers towards. Whether or not 2018 will be one of these years is a matter of perspective, but undoubtedly, exciting changes are coming. Plarium, for a good reason, has taken a keen interest in the ever-changing trends that shape this marketplace. We always follow closely and study the latest developments that have affected the gaming industry. Last year, we touched on this point by highlighting the latest trends in 2017 and just how they were shaping the gaming world. In 2018, we have once again delved into this vital topic and reached out to a number of gaming YouTube stars and asked them exactly what they believe to be the top trends for video games in 2018. Three of these influencers are Orange Juice Gaming, Red Arcade, and Prestigeiskey. “For 2018 battle royale genres will dominate the industry before excitement starts to die down. Fortnite is trending hard, and it won’t die down anytime soon this year. “The biggest trend of 2018 will be battle royale games, because of the sheer Fortnite force. They’ve provided a solid product, and soon we will see many more AAA studios giving battle royale games. Although they all had different things to say on this topic, they all returned to the same, magnetic two words that are currently rocking the industry - Battle Royale, which is why it is the first of our top 7 gaming trends for 2018. This one trend is single-handedly reshaping the gaming industry. Battle royale games in 2018 are the hottest topic around, and gaming companies are scrambling to get a piece of the Fortnite pie. Fortnite, created and developed by Epic Games was released for early access on PC last year. However, since then it has gained massive traction, and its momentum shows no signs of slowing down, with Epic Games releasing a statement on June 13th, 2018, saying that player count has already reached a staggering 125 million players. In addition to this, the game is so wildly successful, predominately due to its unique gameplay and battle royale style, that Epic Games has said they will make $100,000,000 available in prize winnings for its first year of competitive gameplay in esport style tournaments. It, therefore, comes as no surprise, that this was the dominating topic of E3 2018. Various companies discussed the genre and whether or not they plan on including it in their current line-up of games, or any future games that are yet still in development. Activision, the publisher of the immensely successful 's Call of Duty series, was quick to state that they would include a battle royale mode in the series next iteration - Call of Duty: Black Ops 4. Additionally, just a mere six minutes into the E3 press coverage we learned that Battlefield V, a WWII shooter (and Call of Duty’s biggest competition) would also include battle royale. Other such titles were quick to jump onto the battle royale trend, and plenty of announcements were made as E3 2018 unfolded. 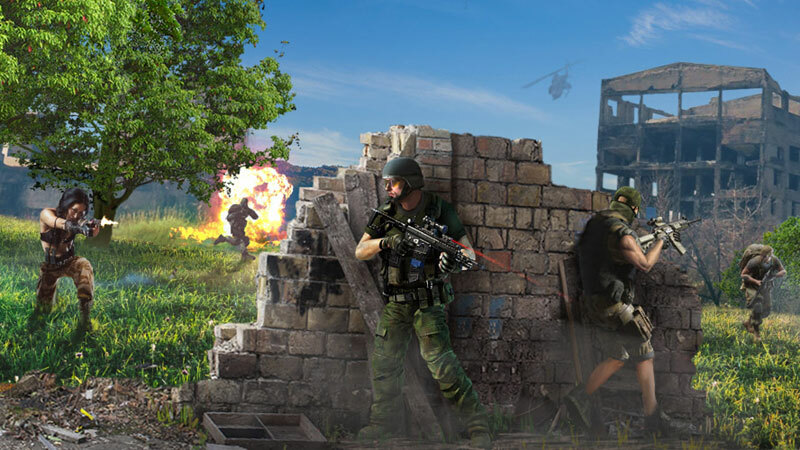 Titles such as Mavericks: Proving Grounds, Rapture Rejects, and various others are charting their battle royale course. You cannot deny that this is the most significant video game trend of 2018, but to say it is the only one would be shortsighted, as others continue to rock the industry. To some, the end of loot boxes was an inevitability. To others, it came as a shock and surprise. The first signs of this trend gaining momentum was the controversy surrounding Star Wars Battlefront 2 that erupted over its adoption of loot boxes. Players were outraged by how their “loot crate” system affected progression. Many of them felt it was impossible to achieve success in the game without “busting out your credit card.” It made the game seem to revolve more around the purchase of these randomized items than the actual gameplay. This started a cascading effect across the industry. The backlash against developers who were partaking in this form of transaction pushed them to rethink future developments and how they plan on charging customers for their content creation and game management. Once again, games like Fortnite are leading the charge in this regard, proving that developers can make a significant profit from merely selling more in-game character models and cosmetic items that don’t give you an inherent advantage to players. 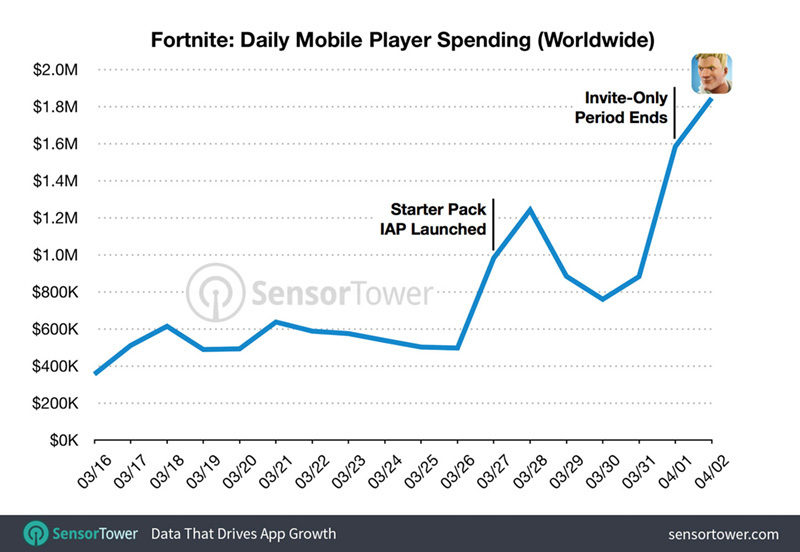 Fortnite alone has already grossed well over $15 million in revenue since its launch, proving that it is a viable business model and a trend in the gaming industry that is here to stay. Additionally, this is a change that is being forced by many government entities, as more and more countries begin to hone in on and examine the gaming industry, labeling loot boxes as a form of gambling as they do so. Video game developers and publishers continue to expand their outreach to various other segments of the population, welcoming new consumers with open arms and hoping to attract a broader audience. This one trend has caused various conflicts to arise over the years, as we seen with the eruption of the “Gamergate” controversy, which reshaped many aspects and segments of the gaming world. Gamergate forced many companies to rethink how they operate, as political and social pressure was applied to them, threatening to hurt their bottom lines and PR image. Two things that no company wishes to see damaged. For example, you can now find openly LGBT characters starring in AAA games, like Overwatch’s Tracer and The Last of Us 2’s Ellie. But it doesn’t end here. Other advancements in technology and innovation have been made, such as Xbox’s Adaptive Controller, which was created and designed for players with reduced mobility. Another innovative concept that has made its way into the industry is games that focus on much more “real” issues, such as mental illness. Hellblade: Senua’s Sacrifice is one such game that garnered great success, recently winning five rewards at the British Academy of Film and Television Arts (BAFTA) reward show, proving that games no longer need to play it safe within a predefined narrow pathway. 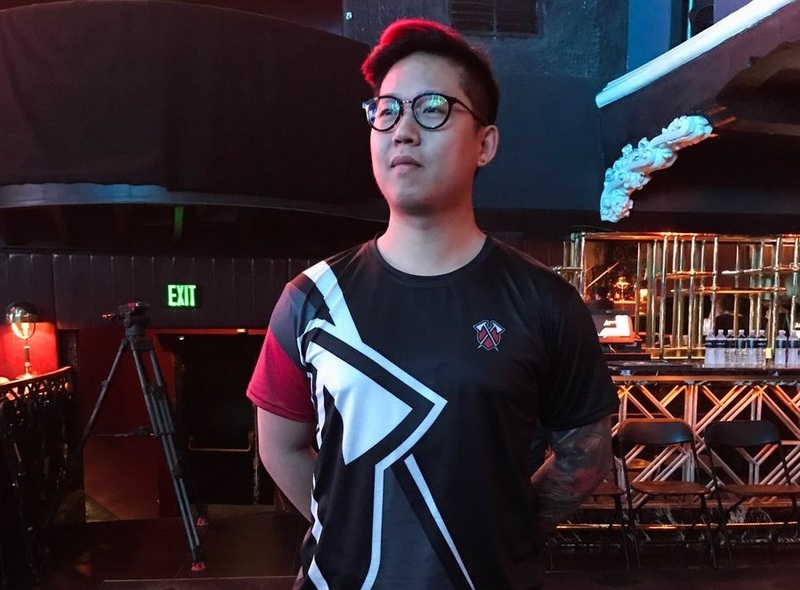 One trend that is rapidly gaining traction is eSports, both for competitors and for consumers. This is a trend that I saw coming for years, as a personal fan and consumer of this content, I could see the writing on the wall - that this was an untapped segment of the marketplace that was soon to balloon in size, and boy has it ever. eSports revenue has drastically increased since 2012, moving from a $130 million industry to $655 million in 2017. What is even more stunning to those who don’t see the potential of this industry, is just how much larger this phenomenon is expected to become, with estimates putting its revenue at $906 million by the end of 2018 and a stunning $1.65 billion US by the end of 2021. These gains in revenue correlate closely with recent studies that suggest millennials enjoy watching eSports just as much as they like to watch “real” sports. This trend is leading more and more segments of the video gaming industry to question whether or not they should be partaking in eSports of their own. Some developers are challenging the old “norms” and asking if even games like MMOs could be an eSport too. I strongly suspect that this is a trend that is only going to get stronger as the years go by, with eSports eventually surpassing and overtaking the “traditional” sporting industry as demographics shift. As a bonus mini-trend, we can see that a lot of the video game trends of 2018 have solid foundations build upon the successes of previous years. One such trend is mobile gaming and cross-platform gaming, an innovation that many in the gaming industry are beginning to take advantage of. More than ever, consumers want their technology to come with them when they travel abroad and leave the comforts of their household. They expect the same when it comes to their games. Smartphones have indeed led the charge in this industry. As they become more and more advanced, so too is the quality of the gameplay they can offer. Games that were once only available on PC and gaming consoles are beginning to reach across the divide and make their way into the mobile platform. Fan-favorite games like Fortnite (once again) and PUBG already let mobile players play along with their PC and console counterparts. The Elder Scrolls Blades, which was recently announced, is another intriguing example because it allows cross-play between VR devices on mobile, PC and consoles. Games such as Elder Scrolls Blades genuinely do highlight just how far the mobile gaming industry has come and showcases how the mobile gaming marketplace is making leaps and bounds in innovation, beginning to rival traditional PC and platform gameplay in quality. In previous years, everyone thought Virtual Reality was going to be the next big thing. In 2018, it’s beginning to look obvious that Augmented Reality is a far more promising and accessible technology. The last couple of years saw the rise of both AR and VR, with VR being all the rage and heralded as the new wave technology that was going to change the world. This very well may be the case, but sadly, we are just not there yet. Many issues have arisen around VR, of which have slowed its growth. The most notable of which is the barrier to entry. VR headsets are either very expensive or of little quality, enough to deter and take away from the VR experience in a severe way. Augmented Reality, a technology that superimposes a computer-generated image on a user's view of the real world, typically through a smartphone or other similar device, has a much lower barrier to entry. Thus, it is more readily adopted. Although AR does require an expensive device to function, it is one that most individuals already have in their possession - a smartphone. In actuality, using Augmented Reality apps cost them nothing extra. Pokemon Go may have been the first big AR hit, but it will be far from the last we see. 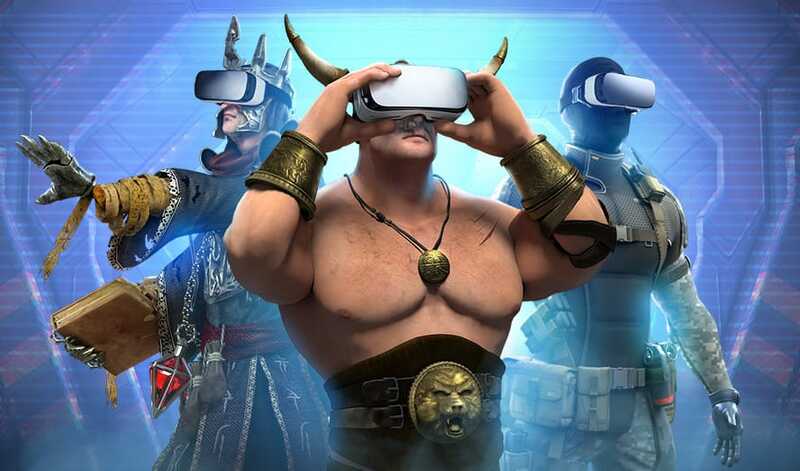 In 2018 alone there is a plethora of new AR games and apps set to hit the markets, with some of them already available. Games such as The Machines, ARZombi, AR Dragon and ARise are just a few of the most anticipated ones. Although it is not typically discussed in Western culture, by and large, the Chinese gaming industry is a trend that is demanding notice. 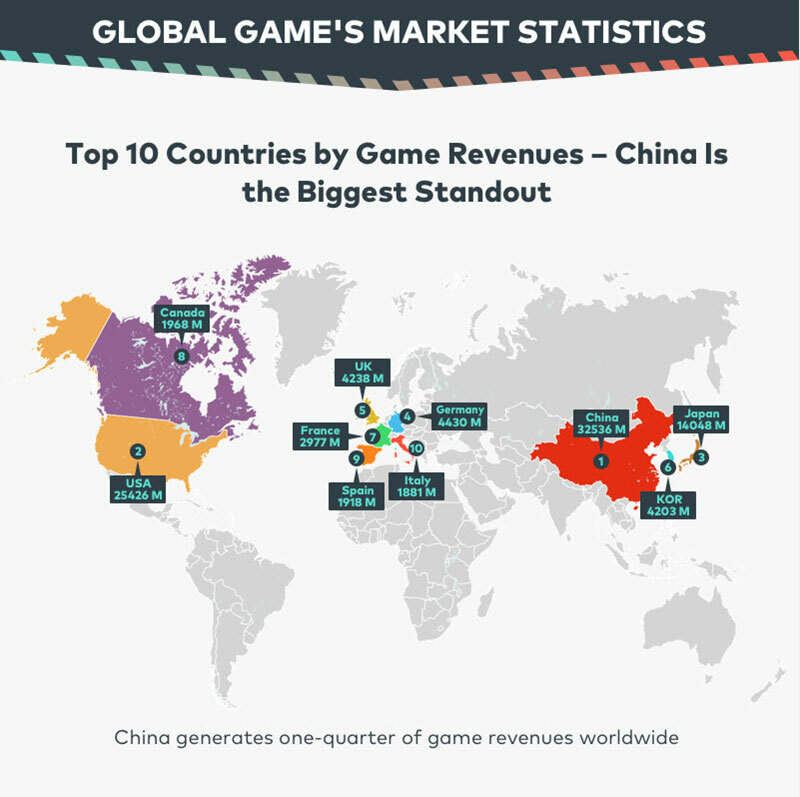 China has surpassed any other nation in the world as the top revenue generator in the gaming industry. In 2017, China alone produced one-quarter of all gaming income worldwide. Unsurprisingly, this is forcing other industry experts in the West to take notice. Tencent is now the largest gaming company in the world with a staggering $12,701,000,000 in revenue. This is even more shocking when you compare it to a more traditional company in the video game industry, such as Nintendo, with a revenue of $1,879,000,000. Once again, the primary benefactor of this growth has been the mobile marketplace, in which China has openly embraced. Smartphones have flourished and are now in the hands of a massive population, with a large percentage of them possessing the ability to engage in microtransactions in various games of their choice. Coming full circle, the effect that battle royale style of gameplay has had on the marketplace cannot be overstated. It’s no wonder all the YouTubers we questioned about gaming in 2018 mentioned the game. It had such a massive impact on these top 7 video game trends of 2018. It will be interesting to see how all of these trends fare as we journey through the remainder of this year and head into the next level of our lives - 2019.